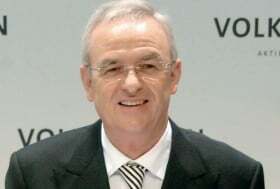 VW CEO Winterkorn has ambitious electric goals. Volkswagen AG wants to be No. 1 in hybrid and electric cars before the end of the decade. Led by VW brand, the VW group aims to sell more than 10 million cars across all its brand by 2018. “We will take the hybrid out of its niche status with our high-volume models. In the future, the heart of the brand will also beat with electricity,” Winterkorn added. It plans to launch a full-electric version of its Up minicar, the E-UP, the E-Golf and the E-Jetta in 2013. To get ready for those debuts, VW will debut a test fleet of 500 electric Golfs next year. VW is launching its Touareg gasoline-electric hybrid SUV at the Geneva auto show this week. The company said that the Jetta Hybrid will debut in August 2012, followed a year later by the Passat Hybrid and then the Golf Hybrid in October 2013.